A Pendle Hill Conference for inspiration, education, networking, discernment, and action. $400/private room; $300/shared room; $200/commuter. On-site check-in begins at 4:00pm with the opening plenary at 7:00pm on Sunday, July 29th. The program concludes at noon on Wednesday, August 1st. If you cannot join us for the whole conference, we invite you to register for the plenary talk by Ruby Sales (July 29, 2018 from 7:15-9pm) at a cost of $25 by clicking this link. Thanks to the work of Tarana Burke and other effective organizers of the “MeToo” era, sexual harassment and assault are being taken seriously in mass consciousness and popular culture, and several powerful men are being held accountable for their actions. Building on this work, Pendle Hill is hosting a program that grapples with the roots of gender-based violence and paves a path toward a world where women, men, and people of all gender identities can thrive together. We will hold a brave space for people of all genders to come together and vision a world where all can thrive and be free from interpersonal and societal violence locally and globally. 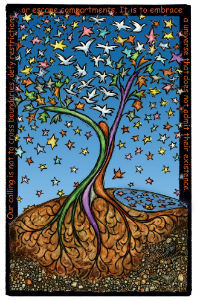 Gain skills for empowerment, healing, and intersectional work toward overcoming interpersonal and systemic violence. In conceiving and planning this program, we are indebted to the work of Niyonu Spann. The goals of her program Beyond Diversity 101 inspire our work here in seeking to end gender-based violence. The same deep heart and hard work that Beyond Diversity 101 engages to overcome racism is required here. Ruby Nell Sales looks at her work as a calling rather than a career. 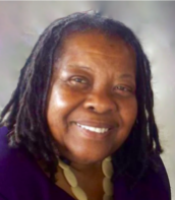 She answered the call to social justice as a teenager at Tuskegee Institute where she joined the Student Nonviolent Coordinating Committee (SNCC) and worked on voter registration in Lowndes County, Alabama. Sales received a B.A. degree from Manhattanville College and attended graduate school at Princeton University. Sales received a Masters of Divinity degree from the Episcopal Divinity School where she was an Absalom Jones Scholar. While there, she developed a reputation as a preacher and has preached at churches and cathedrals around the nation. After divinity school, she founded and still directs a national nonprofit organization, the SpiritHouse Project. Click here to learn more. To register for her plenary presentation, click here. 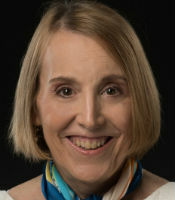 Dr. Chloe Schwenke is an openly transgender Quaker author, ethicist, educator, human rights activist, feminist, and international development practitioner, who has devoted most of her professional career to supporting people in more than 40 countries in their efforts to achieve lives of dignity, inclusion, freedom, agency and hope. Having lived and worked for more than 15 years in Africa, Asia, and the Middle East, Chloe was selected by the Obama administration as a senior political appointee advising on human rights in Africa, and on LGBTQ issues worldwide. She has also held senior positions at the leading human rights organization Freedom House, and at the International Center for Research on Women. 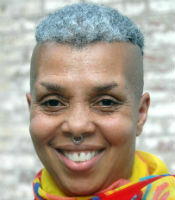 She currently serves as an adjunct professor at the University of Maryland. Chloe is a member of Adelphi Friends Meeting (MD). Chloe’s memoir, SELF-ish: a transgender awakening (Red Hen Press, Los Angeles) has just been published. Sarah Thompson is a 2018 Generations Fellow at the Martin Luther King, Jr. Center in Atlanta, Georgia. 2018 is a key year as it is 50 years since the assassination of King in 1968 and the Poor People’s Campaign. Sarah is the immediate past Executive Director of Christian Peacemaker Teams, an organization committed to building partnerships that transform violence and oppression. At the request of local peacemakers, CPT sends international teams to support grassroots struggles for human rights and nonviolent social change worldwide. Sarah is a Mennonite from Elkhart, Indiana, and attended Spelman College, majoring in Comparative Women’s Studies and International Studies, with a minor in Spanish. 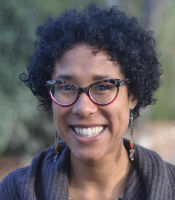 She is a 2011 graduate of Anabaptist Mennonite Biblical Seminary, and through theological scholar-activism and ecological black feminism she has visited 62 countries. 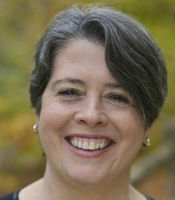 Eileen Flanagan served as clerk of Earth Quaker Action Team for five years, helping to shape the strategy that pressured PNC Bank to stop financing mountaintop removal coal mining, as well as the subsequent Power Local Green Jobs campaign, which works at the intersection of racial, economic, and climate justice. Since the 2016 election, Eileen has shared what she has learned about effective and spiritually grounded activism through her online courses. The award-winning author of three books, her fourth focuses on what it means to work at the intersections. Read more at eileenflanagan.com. 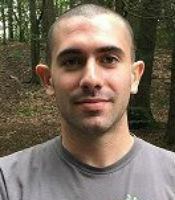 Toby Fraser is the Manager for Community Education at Lutheran Settlement House. He has been a part of the movement to end Intimate Partner Violence for the past 10 years. His work has ranged from doing workshops with youth about the roots of violence and social change, to training professionals on concrete skills such as screening, safety planning and supporting survivors. 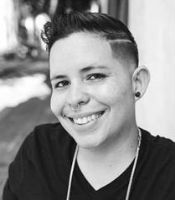 Nikki López is a Latinx poet, writer, dj and activist with over ten plus years of intersectional advocacy work. She obtained her Bachelor’s degree at Bryn Mawr College and received her Masters of Fine Arts at Rutgers University Newark. Intentionality and intersectionality are keystones of her work as an activist, where she advocates strongly for marginalized communities in spaces where visibly queer, female, and Latinx person are rare. She was a 2012 Leeway Foundation Art and Change grant recipient and as a creative writer, social justice is central to her work where she has taught a number of youth writing workshops teaching participants how to utilize writing as an organizing tool. Keystones of her work are youth leadership development, HIV/AIDS prevention. She is the former Executive Director of Galaei, and served on the LGBTQ School Advisory board through the Mayor’s office of LGTBQ Affairs in Philadelphia. .O models and teaches the transformative power of Love, which she expresses in many ways, including facilitating Alternative to Violence Project workshops in the community. .O’s Quaker meeting (Central Philadelphia Monthly Meeting) place under its care her ministry of deepening the understanding and experience of alternatives to violence (“Love and Respect Transform”). She provides hospitality at Serenity House in Northeast Philadelphia and serves as a patient instructor at Temple University supporting medical students gain skills in communicating with patients. A dynamic group facilitator with years of experience in body wisdom, stress reduction, and the healing powers of love, .O has worked with such organizations as Women for Sobriety, Women Within, and Interim House (a drug and alcohol treatment center). 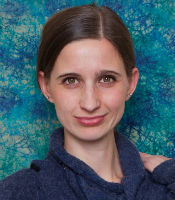 Tara Rubenstein is a is a writer and educator. From 2009 to present, she has created and/or supervised programs for adolescents that support LGBTQ identity, drag performance; spirituality, anti-racism, mythology and magic, community building, sexual wellness and body positivity. She also teaches feminist, earth-based spirituality classes for adults. She is currently writing a book, Take Back the Rite, about girls, bodies, and power. This writing brings together her own life-saving experiences as a queer youth finding feminist community in the 90’s, and reflections from her professional path leading a feminist empowerment group for girls here in Philadelphia called “The Diana Circle.” The aim is to share stories that shed light on resilience, hope, and strategy for making change in girls’ lives here and now. 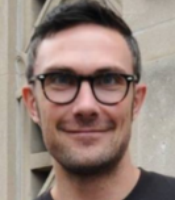 Richie Schultz is the community educator at Lutheran Settlement House (LSH), where he trains people on how to support survivors of domestic violence in their professional and personal contexts. At LSH he also organizes the Men Can Campaign, which focuses on engaging men to join the anti-violence movement. He is an organizer with Philly Showing Up for Racial Justice as well where he trains white folks to show up more effectively and accountably in multiracial political movements. Rev. 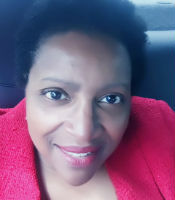 W. Lynette Taylor, a native Californian from the Bay Area (Oakland) who entered ministry in the late 1980s, is an Associate Pastor of Community Relations & Outreach at Mother Bethel AME Church. Her focus in ministry is intimate partner violence and the ways in which the church can take a progressive approach to the folk in pain and create new definitions of sanctuary. She has a Master of Divinity and a Master of Public Health. Current interests are the language of the Christian church, spirituality, and mysticism as a tool for activism. Published works appear in the AME Review and the Companion to the Africana Worship Book. She lives in Philadelphia with her husband Harry of 25 years.